More than 20 years ago, Babs Harband founded Working Behind the Scenes to serve the needs of busy people in the San Francisco Bay Area. 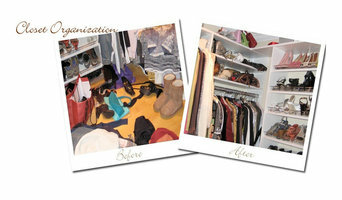 Today, she is the area’s expert in home organization, estate management, wardrobe consulting, and personal shopping. Babs has built strong relationships with Bay Area real estate agents and law firms that focus on estate management. Whether you are organizing your home, moving into a new one, or need someone to manage the distribution of belongings for a loved one, Babs has proven experience you can trust and creates results that make your life easier. Some other talents include party planning, charity events, scrapbooks, and photo albums. Not only is Babs patient and empathetic, she is a great listener and a problem solver. Babs has worked with Mills-Peninsula Hospital Foundation for the past several years; she has been a key player in their luncheon and lecture. This program funds new equipment, nursing education, and their services in the Women’s Center. If you need personal assistance on projects big or small, give Babs a call @ 650-579-3929. Case & Space provides design, space planning, and organizational services for living areas to include kitchens, bathrooms, closets, offices, playrooms, kid's rooms, media centers, garages and any other area in need of organization. Owner, designer, and organizer, Amy Spencer, started Case & Space in 2003 combining her organizational skills with her fascination of well crafted furniture and cabinetry. 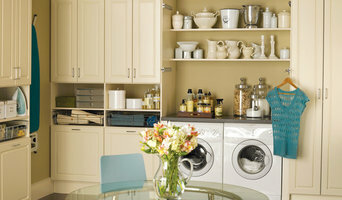 She believes that living spaces should not only be functional and organized, but also beautiful and energizing. SEK Residential Organization & Project Design covers Residential Organization & Residential Remodeling Projects. The SEK team will support in any way possible and execute tasks efficiently and to the highest expectations. We will help put a system in place the "works for YOU", offering a simple process that you can enjoy along the way and are able to maintain. Our Project Design services includes everything around home remodeling and residential renovations. Whether you need customized furniture, conversions to ADA specific spaces or an updated kitchen, bathroom, home office or dressing room. SEK will assist from A to Z and is your home partner. Residential Professional Organization Company specializing in decluttering, organization, space planning and custom designs. 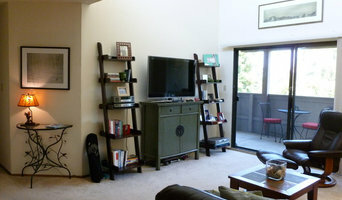 Spatial Design Solutions brings Color, Space Design and Organizational Solutions to your home, office or outdoor space. Professional Home Organizing | Interior Redesign | Residential Move Management Bella Organizing provides the vision and expertise to make your living and work space comfortable and functional. Whether your goal is to transform chaos into order or simply re-arrange, we work with you on solutions to clutter and organization that result in time and space to live a healthy and productive lifestyle. Established in 2007. Serving the greater San Francisco Bay Area, Silicon Valley, and Monterey Peninsula. And Everything in It's Place. I work with individuals, couples, and families, without judgment, to clear and organize all the stuff in places that you say you'll get to later . This can sometimes lead to moving on in some small way. This can often lead to clearing up other areas in one's life, getting over or moving on in some small way. And, some times a mess is just a mess. I create order out of chaos. How can I help? If you are looking for a design expertise that allows you to create a better solution for your space – you came to the right place. I will help you to better understand your space and your needs, and together we will find how we can best organize your closet and other storage space, in a way that is both functional and aesthetically beautiful. As a wholesaler in our industry we have unprecedented access to multiple lines of materials. We consistently exceed our customers expectations validated through independent Yelp ratings and Individual client reviews that routinely exceed 9+ out of a 10 scale rating. You can expect an individual who listens to your ideas and incorporates them into existing spaces that will completely transform the room. We cover the San Francisco Bay Area covering anything from Single Family Homes to large Estates. I routinely work on multiple projects within one home. I love to design the space whether it be a Master Bedroom Walk in Closet to Home Offices, Pantries or Garages. The quality of our materials come with a life time warranty. I am passionate about the ability to transform a space into a unique and individual design. As a Senior Designer with our Firm you can expect someone who has designed thousands of spaces that have consistently exceeded our clients expectations. I look forward to working with you in the future. 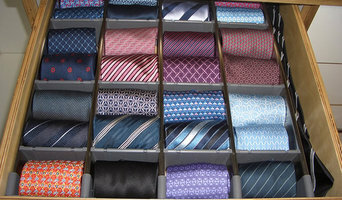 An organized and orderly home is one of life’s great pleasures. I founded All Things Home Organizing™ because I love providing professional organizing services for my clients – it lets them focus on what’s most important in their lives: their work, interests, friends and family. I’ve been helping families (and busy singles) relocate for years. We handle any parts of your move that you’d rather not do yourself – from carefully packing up your possessions and coordinating with the movers, to unpacking and creating the perfect way to organize everything in your new home. When I’m not organizing my kitchen, I’m cooking in it! I’ve studied at the California Culinary Institute in San Francisco and the CIA (Culinary Institute of America) in Napa. All Things Home Organizing™ celebrates over 15 years of organizing excellence, serving the entire San Francisco Bay Area.